Portable Document Format which require a suitable reader. Download a suitable reader from here. To make use of the Google Earth link you will need to download and install Google Earth from here. You can then fly to a fort by clicking on the links. 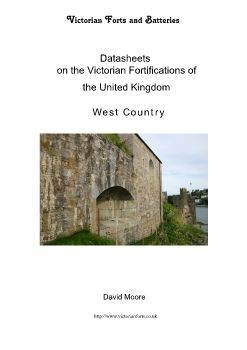 A list of forts can be found on the fort data page. The PDF data sheets on this page were first produced by David Moore in joint partnership with David Burridge of the Kent Defence Research Group (who supplied the information for the Dover and some of the Thames sheets) in 1993. 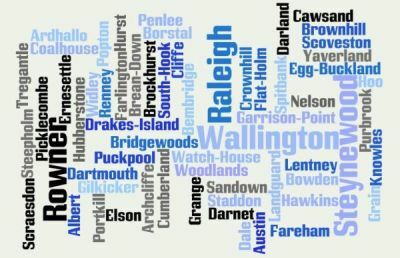 They were subsequently modified and updated by David Moore as a Palmerston Forts Society project labelled 'Fortlog'. When the PFS abandoned this project in 2003 the sheets were entirely maintained by David Moore, the orignal author. They are placed into the public domain by David Moore. The text, photographs and drawings are all attributed to David Moore except where indicated. The PDF Datasheets are constantly updated. More will be available soon. If there is a data sheet missing that you require please contact the webmaster.